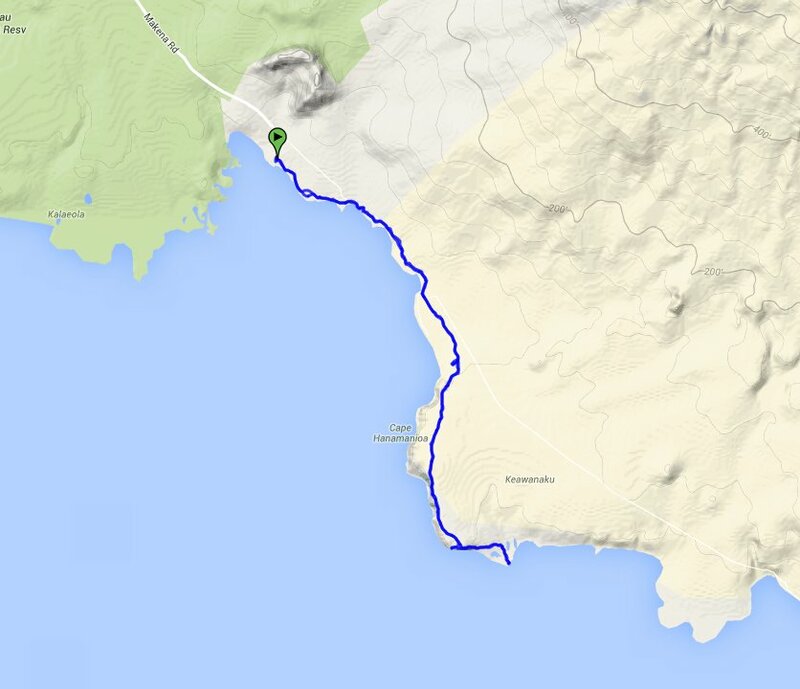 Car Shuttle Req'd: No Parking Directions: Take Highway 31 south to Makena Road. 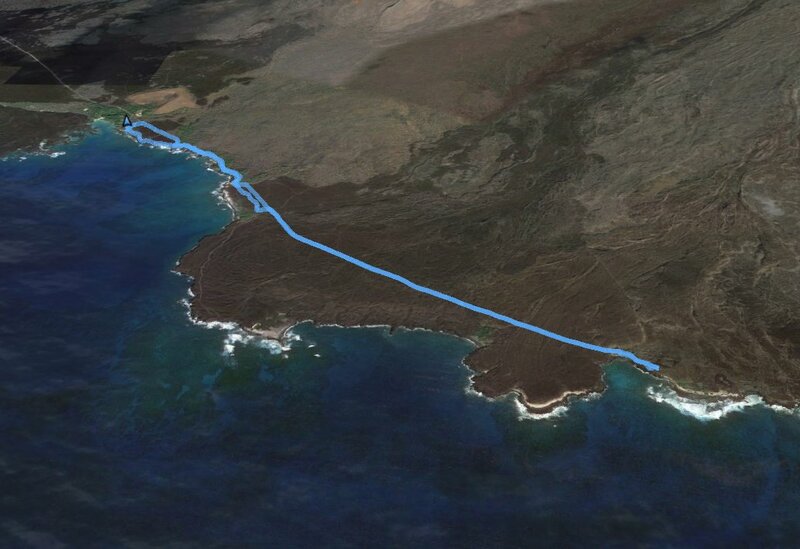 Follow this road south until it becomes a narrow two-lane drive, and then you will enter the Ahihi Kinau preserve with black lava rock on both sides of the road. Follow this all the way to the end, parking in the open area at La Perouse Bay. Hazards of Note: Very windy during most times of the year. Bring water, as there is none along the way that is drinkable. Crowd Factor: Moderate. 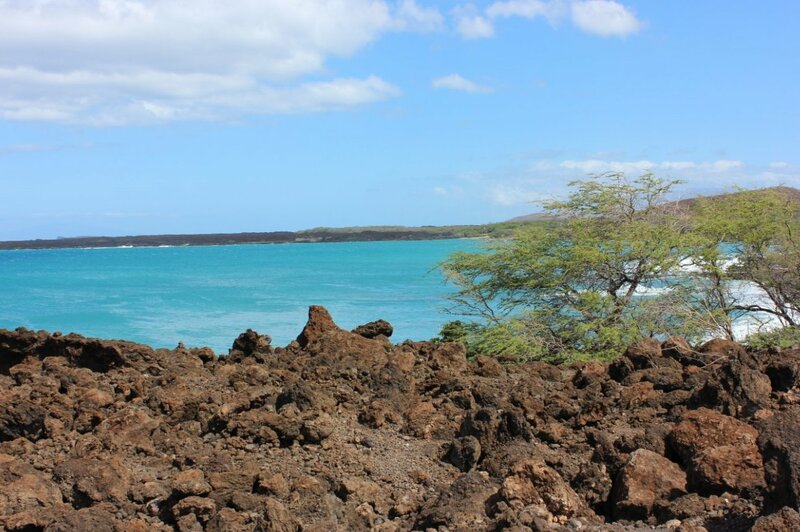 La Perouse Bay is a popular area, but once on the trail you will not meet very many others. 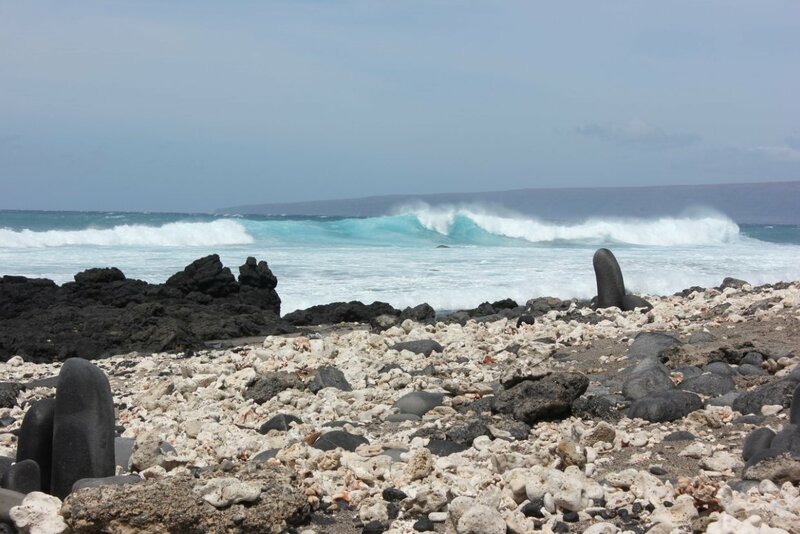 The trailhead for the Hoapili trail follows a very obvious trail south along the shoreline. 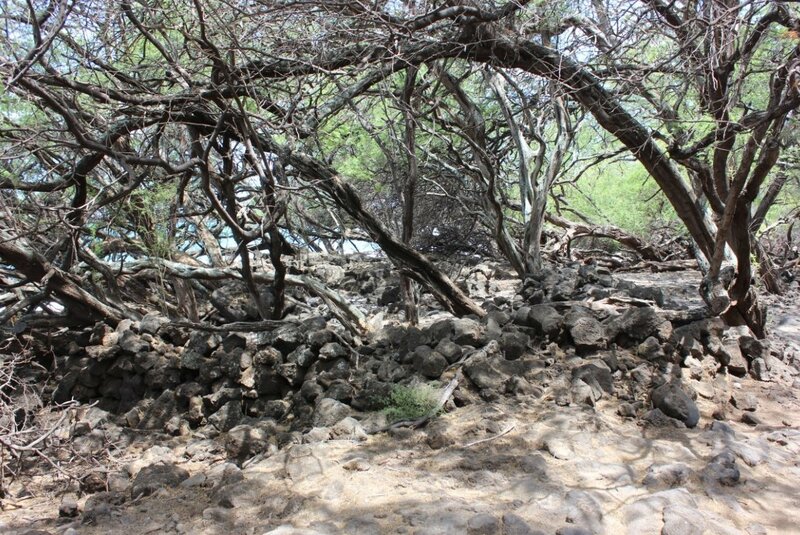 You will pass by a number of ancient Hawaiian structure ruins, which are historically significant and should not be disturbed. 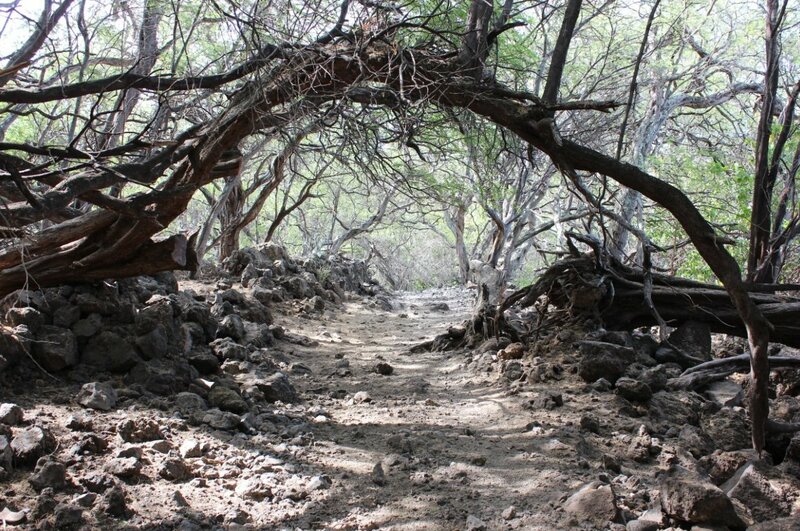 The first beach that you reach has a path through a pleasant tree tunnel, along with more ruins and many black goats who now inhabit the area. Just at the end of the beach the trail either follows along the shoreline toward the La Perouse Bay lighthouse, or turns left, but the one on the left is for the Keoneoio Beach hike and you want to stay to the right and continue along the shore. My son Dustin prepared for anything along the trail. A nice native forest along the start of the hike. Great color contrasts between the lava and the ocean. 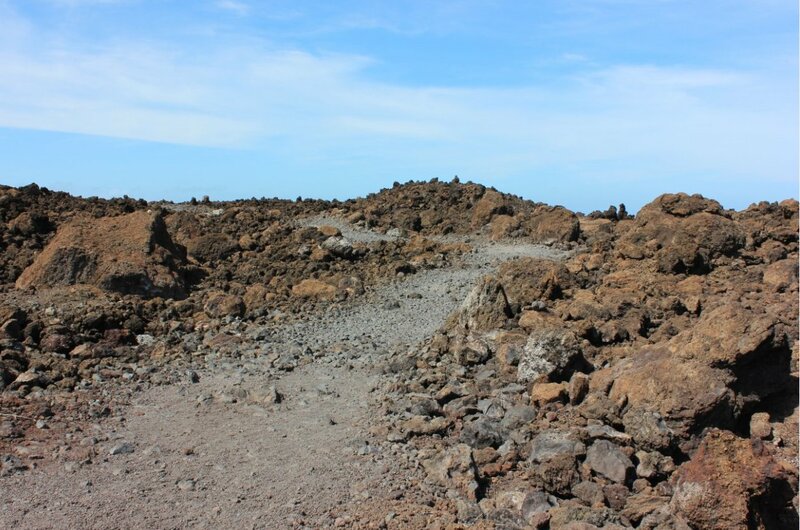 Pretty well-established path through the lava for most of the early part of the trail. Following the trail through a pretty thick bunch of Kiawe trees. 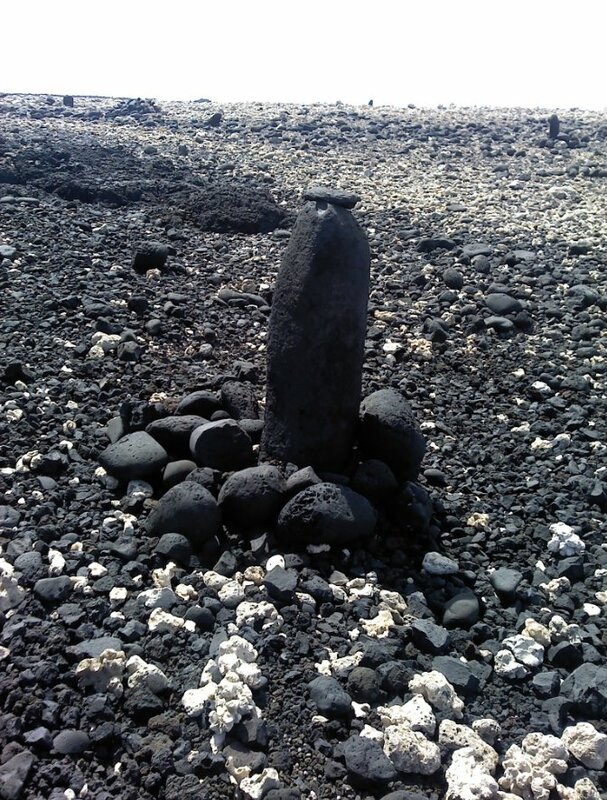 Remnants of the ancient Hawaiian village which once thrived in this location. Looking back at La Perouse Bay from the trail toward the lighthhouse. Along the water near the lighthouse are many very distinctive rock sculptures all around the area. Some of the shoreline near the lighthouse, also known as Solitude Point. Should be called "Blown off my feet Point." 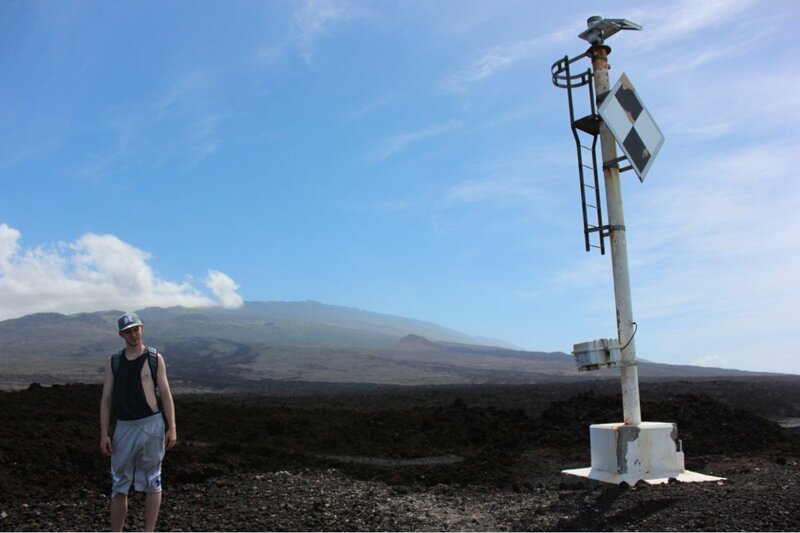 My son Tristan near the fairly uninspiring lighthouse, but the area around it is pretty amazing. 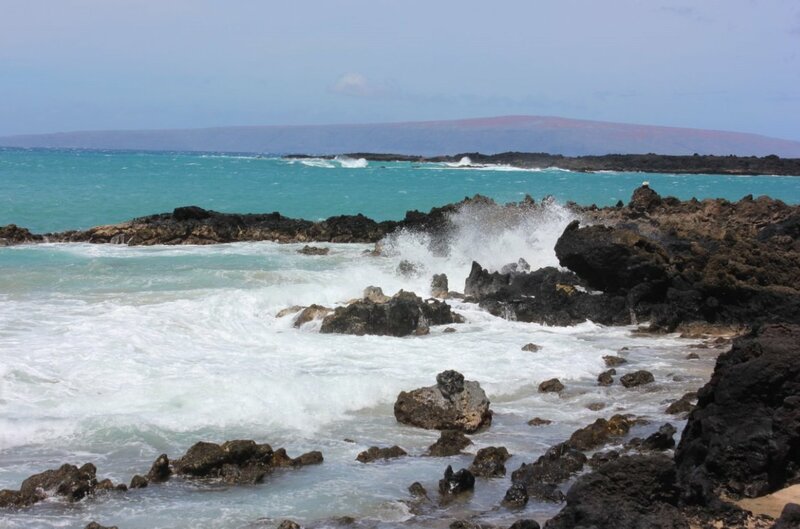 More of the pounding waves that most the the trail follows along the shoreline of to the lighthouse and back.